Rickey Gates, of Woody Creek, Colorado, runs high above treeline, during the 51st Mount Washington Road Race, which was held on Saturday, June 18th, 2011, in Pinkham Notch, NH. 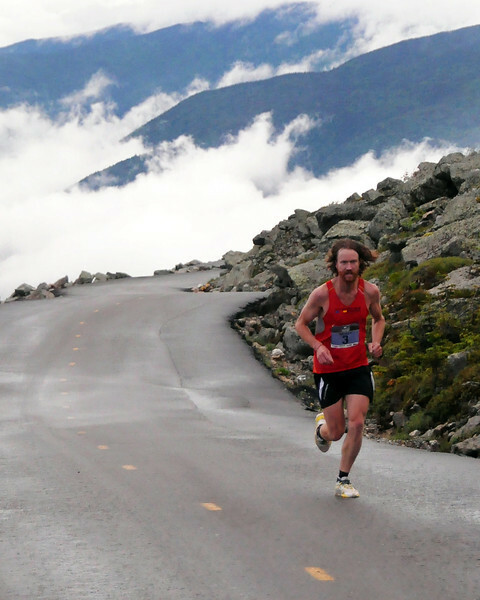 Runners competed on a grueling 7.6 mile course, up the Mount Washington Auto Road, finishing near the 6,288' summit, which is the highest peak in the northeastern United States. Mr. Gates, winner of the 2009 race, went on to win the event again, with a time of 1:01:32.